Amal Mattu, Director Emergency Medicine Residency Program and Co-director, Emergency Medicine/Internal Medicine Combined Residency Program, University of Maryland School of Medicine, Baltimore. William Brady Associate Professor, Vice Chair and Program Director, Department of Emergency Medicine, Universityof Virginia Health System,, and Medical Director, Charlottesville-Albermarle Rescue Squad, Charlottesville, Virginia. Part 1 Focus on dysrhythmias. 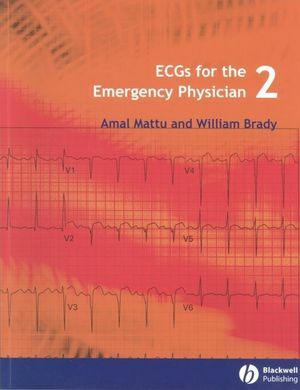 Part 2 12-Lead ECGs (intermediate level). Part 3 12-Lead ECGs (advanced level). Appendix B: Commonly used abbreviations.